Progressive Commerce utilizes leading edge order processing technologies and fulfillment center processes such as wireless stock control to ensure that your customers receive their orders quickly and accurately. Progressive Commerce provides a complete range of fulfillment services from high touch pick and pack to 3PL and warehousing in our clean, modern and secure facilities. Order transactions can be integrated in a variety of ways including advanced web, shopping cart, EDI or traditional live operator, fax and mail. All aspects of our fulfillment services including shipping, receiving, returns and stock control are managed via on-line systems that are fully integrated with customer care, accounting and analysis reporting systems. We have extensive experience with a wide variety of special need product categories including apparel, footwear, breakables, furniture, electronics, perishables and food. 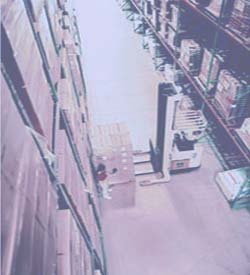 You benefit from fast, accurate, and cost effective shipment processing along with comprehensive inventory reporting. 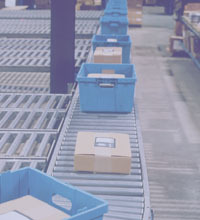 Customers receive accurate responses at every step in the order fulfillment process regarding all aspects of shipment status, ETA's and merchandise returns.